Dimming sleep that wrestles arousal. Of cheap baubles forgotten in plain sight. 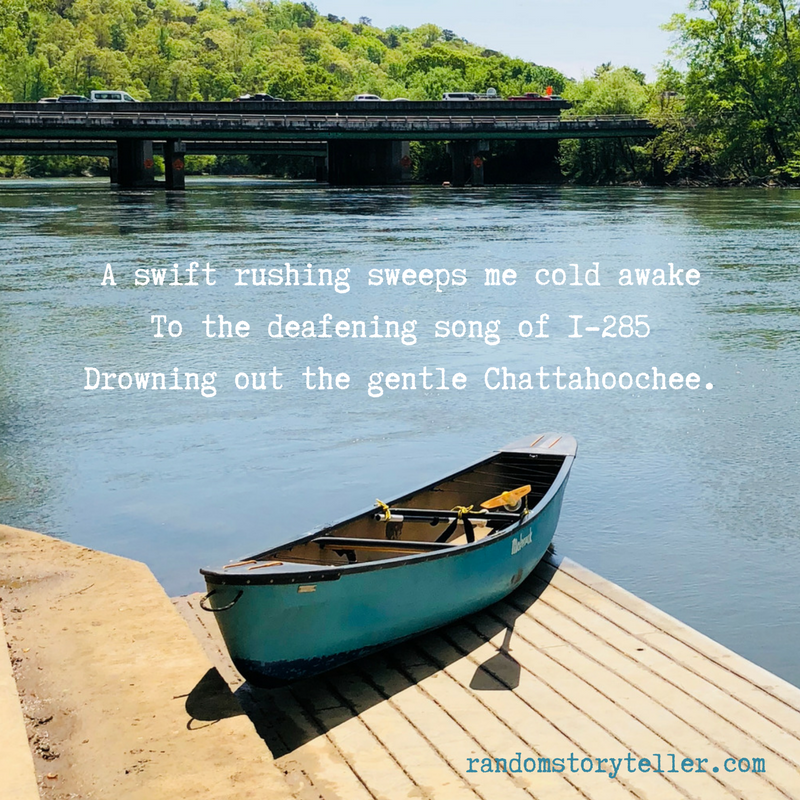 Drowning out the gentle Chattahoochee. To net a mess of sun-flashed rainbow trout? And brief rapids gushing white into midstream? Thanks, Karen. Experimenting with a poem series!